Does anyone know anything about life insurance? It's occurred to me that that's one of those grown-up type things that might be good for us to have, at least enough to cover any funeral and burial expenses, but googling it is a little overwhelming, since there seem to be more kinds and options than I can easily wade through. Do any of you understand this stuff, or can you point me in a useful direction? We have renters and auto insurance through Liberty Mutual, so I'll likely go through them unless there's a reason to go elsewhere, but apparently my agent is out of town for a few weeks, so I can't just ask him right now. Thanks! FYI, I'm still here, and still reading regularly if not posting much. But in case LJ goes boom, I'm gilana on dreamwidth as well. I went to PAX on Sunday -- decided it was about time I see what Aaron's been doing there as an Enforcer for the past 6 years. It was a little overwhelming, but a fun time. I spent most of the time on the show floor, wandering around, but they have a Diversity Lounge, so I made it a point to stop by there. One of the people there was an ethicist who was asking people to write on sticky notes what they think made a good female charpacter in games, and what made a good male character. I found it an interesting exercise, trying to find specific qualities that were meaningful to me. So I'm curious -- what qualities do you think make for an interesting female character? What about a male character? Do you find one easier to define than the other? Do you think there's a different in what qualities matter in video games versus in other media, such as fiction? Halloween has always been one of my favorite holidays, and it's Aaron's, too, which makes it even more fun now. When we woke up this morning the Halloween Crustacean* had left a Haunted Mansion antenna topper for him, and when we went out this afternoon Aaron solemnly told me that the HC had deputized him to get me a Disney Villains make-up bag, but that he thought I might want to pick out which one myself. It was a tough choice -- they're all pretty gorgeous -- but I finally went with an awesome Evil Queen one from Snow White, with an apple pattern inside. He had also been desperately wanting the limited edition Haunted Mansion Sorcerers of the Magic Kingdom card from Mickey's Not-So-Scary Halloween Party; over a month ago I posted to some Disney bulletin boards asking if anyone was going to the event and would be willing to part with the cards, and someone picked some up and sent them just in time to arrive today, so I got to surprise him with that, which was the icing on the cake. We dressed up in slightly Halloweeny normal clothes -- skeleton shirt and jack-o-lantern bandanna for him, Jack Skellington shirt and big dangly monster earrings for me and went to the Asian market to get some groceries. We each picked out a weird food item to have as a trick or treat -- we weren't sure which it would be! I picked out an item in the candy aisle called Haw Flakes and he went with fish-shaped mango-cream-filled pretzels. Both of them were odd and kinda... tasty.... ....maybe? and definitely new and different, which is always fun. And certainly better than the durian wafers we tried last time. Blech, durian. *One of the local schools apparently has some sort of crustacean -- it's not clear whether it's a lobster or crayfish -- as their mascot. Every fall they hang a banner with this creature on it advertising their Fall Festival, and we've built a whole mythology around it. The Halloween Crustacean travels around the world every Halloween, giving gifts to spooky little boys and girls. And big ones. Sunday March 3 (that's next Sunday! ), 8pm at Oberon, tickets $20 (seating is reserved, so buy now). Facebook event is here -- invite your friends! Anyone intersted in creating a video game with my fiancé? He's looking for someone proficient or willing to learn XNA, which is Microsoft's tool set for Xbox Live arcade and indie games. His understanding is that it's essentially C++ based. Aaron and I were both working near South Station today, so we met up at the farmer's market in Dewey Square on our way home. We picked up some fresh corn, a spinach and onion ciabatta from When Pigs Fly, and a pint of heirloom cherry tomatoes. We stopped at the market on the way home for some goat cheese. When we got home, I roasted the tomatoes and a head of garlic. We toasted slices of the bread and ate them smeared with roasted garlic, creamy goat cheese, and sweet carmelized tomatoes, along with fresh corn dripping with butter. Oh my god so good! My almost 16-year-old stepdaughter-to-be dances competitively, and she's looking for a song for her next Musical Theatre solo. Should be upbeat and energetic, and something that you could build some character and story around. Her strongest group number in her last recital was a French cabaret dancer sort of thing to "Speaking French" from Lucky Stiff (which I had never heard of before), and we'd love to find something that can use that same sort of saucy and playful character, since her last few solos have been more on the goofy side (a 50s high school dance wallflower to Dancing With Myself, and a number in pajamas with fabulous bedhead to a Bjork song). The songs don't have to be from Broadway shows, they can also be from TV or movies, although she is ideally interested in going a little more classic this time. My thoughts so far have been The Stepsisters Lament from Cinderella, and That's How Young I Feel from Mame. I'm really excited about some of the projects I've got going on right now. ceciliatan has successfully funded her Kickstarter campaign to create a printed omnibus edition of her Daron's Guitar Chronicles, and I'm doing the cover and book design. We've got a first draft that I'm really excited about -- hope to have a more final version to show off here soon. But moo.com has been having contests to design business cards for fictitious people; the first one was Zeus, and there were some really fun entries. 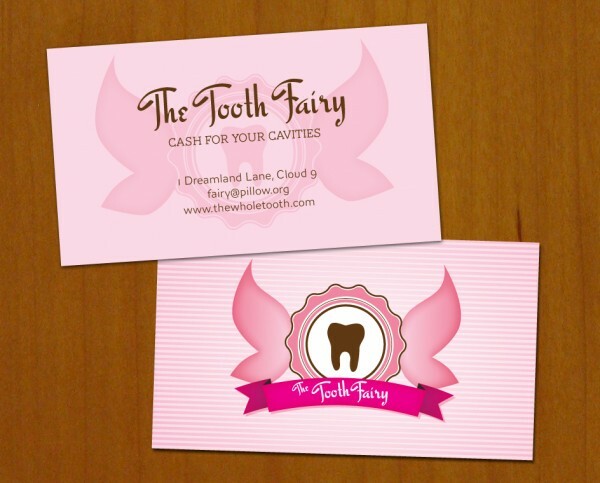 So when the announced a new contest yesterday to design a card for the Tooth Fairy, I couldn't resist. The winner gets $300 plus $100 to spend at moo, so keep your fingers crossed for me! You know how you worry before you introduce a new partner to your friends, for fear they won't see in him all the things that you do? I got to introduce an audience to 84 Charing Cross Road tonight -- and thankfully, they fell in love with it as much as I did. I sat in the dark theatre and listened to them getting caught up in the story and living it along with the characters, until I myself got too caught up in it to pay attention to anything other than what was happening on stage. I'm so very proud of my actors, and frankly proud of myself, too, for all the work I've done and the decisions I've made that helped this production to be what it is. And I'm so grateful for a wonderful group like T@F that provides a supportive environment to have experiences like this. I cannot wait until tomorrow night to do it for a hopefully full house! I've been busy with work this week, thank goodness (and thank ctan! ), so I haven't had much of a chance to post, but I can't tell you how excited I am about my Bare Bones tomorrow night. Working on this play has been such a joy; we've all had fun doing research on the characters and literary references and historical era, and every rehearsal someone has something new and exciting to share. I've never worked on a show before where everyone was eager to do so much work, in addition to the internal work of really exploring the characters and making them as full and rich and real as possible. We had the best rehearsal last night, when we were finally at the point where I could put down my script and just sit back and watch them and listen. They made me laugh harder than ever, and there were even a few tears at one point. I'm looking forward to the dress rehearsal tonight and getting to see it onstage, and I'm twitching with anticipation for tomorrow night, when a full audience gets to enjoy it. Yay! Business cards for a writer with a focus on the Elizabethan era. She showed me some samples images from a book that appealed to her, I noticed a page from a book that looked like this, and suggested she use the business card as a short writing sample. I love designing really personal business cards like this, that can visually give you so much more information than just the contact info! Thursday we had auditions for my Bare Bones, 84 Charing Cross Road. I did a lot of prep for them, writing out my bullet points for what I needed to cover in the beginning, making myself sheets to keep track of what sides had been assigned, etc. It definitely paid off -- things seemed to go very smoothly, and we finished both groups ahead of time. And everyone seemed to have fun, which is even more important. We got a really good turnout, including a number of people who have directed me in the past, which I found both very flattering and slightly nerve-wracking, as a sophomore director. Our first read-through is tomorrow, and I can't wait. The show will be Thursday April 19 -- mark your calendars now! In 1949, a struggling young New York playwright sent a letter inquiring about second-hand books to an antiquarian book store in London. So began a 20-year friendship between Helene Hanff and the booksellers at 84, Charing Cross Road. Taken from their actual letters, this story will amuse you, charm you, and send you running to your nearest library. It's a really sweet and funny show, and I can't wait to see it brought to life in front of an audience. Auditions are on March 15, and the show will be one night only, Thursday April 19, so mark your calendars now, or better yet, go sign up to audition! For those of you going to Arisia, don't forget to support the Heinlein Society and the Naughty Nurses by giving blood or buying a calendar! Here's a peek at this year's calendar layout. I’m going to be acting in Theatre@First's next Bare Bones, a week from Thursday! HOW: Come to the show! The event is unticketed, with a suggested donation of $5. Visit www.theatreatfirst.org for more info. Paula Vogel's The Oldest Profession takes place in New York, just after Reagan's election in 1980. Five elderly prostitutes sit on a park bench, discussing diminishing clientele, increased competition, and aching joints. With wit, compassion and humor, they struggle to adjust to changing circumstances. Note: The subject matter is not really appropriate for younger children – it would likely be rated PG-13. One of a series of two posters I'm working on for Booty Vortex. I wanted to try to capture some of the high-energy dance fest of their shows, along with a little of the retro disco vibe.